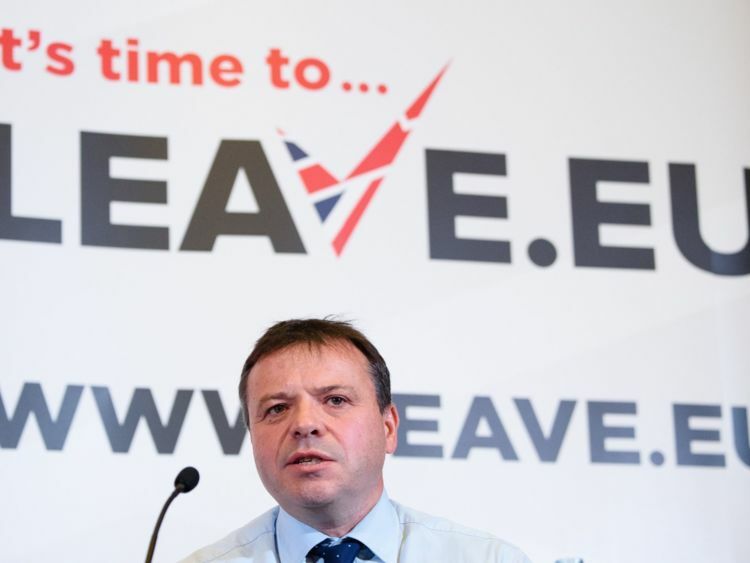 An investigation has been launched into whether major Leave funder Arron Banks breached rules during the EU referendum campaign. The Electoral Commission announced it is looking at whether or not multi-millionaire Mr Banks committed offences in relation to donations or loans made to campaigners before the Brexit vote. Their investigation will also probe the activities of a firm called Better for the Country Limited (BFTCL), of which Mr Banks is a director, as well as the recipients of funds from both BFTCL and Mr Banks.Mr Banks registered as a permitted participant with the Electoral Commission and gave three loans totalling €6m to the Leave.EU campaign group he jointly founded during the referendum campaign.It made Mr Banks, who has also bankrolled UKIP, the biggest funder to the Brexit campaign.BFTCL was not registered as a permitted participant in the EU referendum, with five registered campaigners reporting donations totalling nearly €2.4m from the company, according to the Electoral Commission.Their investigation will look at whether or not BFTCL was the true source of donations made to campaigners or if it was acting as an agent; and whether or not Mr Banks was the true source of loans reported by a referendum campaigner in his name. Bob Posner, the Electoral Commission's director of political finance and regulation and legal counsel, said: "Interest in the funding of the EU referendum campaigns remains widespread. "Questions over the legitimacy of funding provided to campaigners at the referendum risks causing harm to voters' confidence. "It is therefore in the public interest that the Electoral Commission seeks to ascertain whether or not impermissible donations were given to referendum campaigners and if any other related offences have taken place." The Electoral Commission is already conducting a separate investigation into Leave.EU's spending return from the EU referendum campaign.In response to the investigation, Mr Banks told Sky News: "This is a politically motivated decision - all of the financing was UK-based and above board.He added: "I have no confidence in the Electoral Commission which is not up to the job. "This should be a judge-led inquiry and overseen by Parliament. "They would do be better to look at the funding behind the official Vote Leave and Remain campaigns. "Mr Banks also posted on Twitter: "Gosh I'm terrified. "Last week, Labour MP Ben Bradshaw told Parliament there was "widespread public concern about foreign, particularly Russian, interference in western democracies".He urged the Government and the Electoral Commission to examine reports over "the role of dark money in the EU referendum" and "the real wealth of Arron Banks".Mr Banks told Sky News: "My only involvement with the Russians was a six hour lunch with the Russian ambassador. I had a great time."